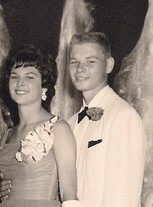 Married Wendy Kaufman in May of 1965. Divorced in April of 1982. Sailing the south pacific. Making art. Teaching. Running a building contracting company. Married current wife in 1997. Ronald Burke has a birthday today. Ronald Burke updated profile. View. Ronald Burke changed profile picture. Ronald Burke posted a message. So sorry to hear of the sudden passing of Riley P. Richardson. Rest In Peace, my friend.